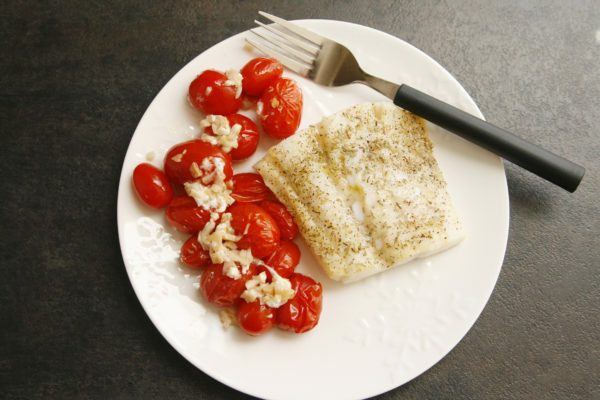 Fragrant, fresh and easy, this Tomato Garlic Baked Cod recipe is perfect for a quick, healthy dinner any night of the week. After all the Christmas cookies and brunches, the roasts and special twice baked potatoes, the merry sips and joyful toasts, it’s no wonder that January feels like a time to step back. To eat better. 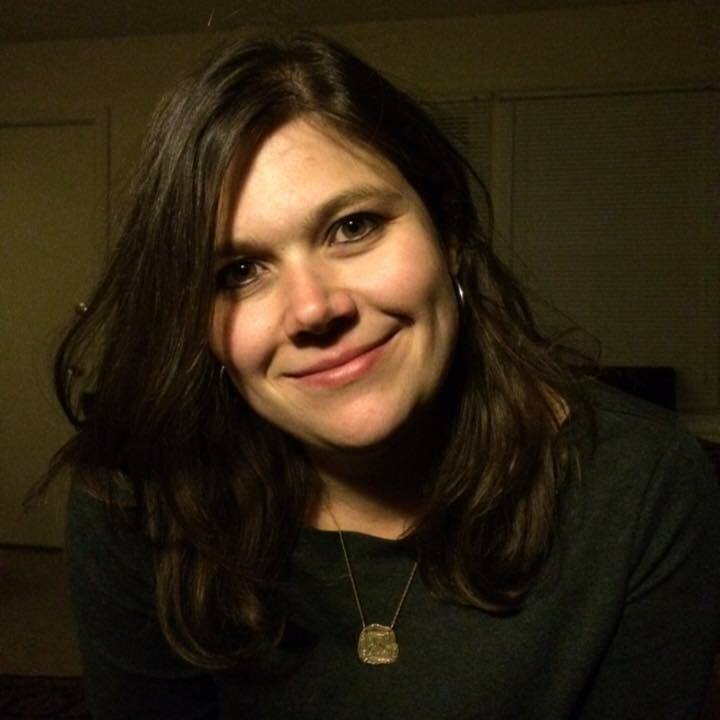 To focus more on health. To trade indulgent dishes for nourishing ones. And that’s what this is. 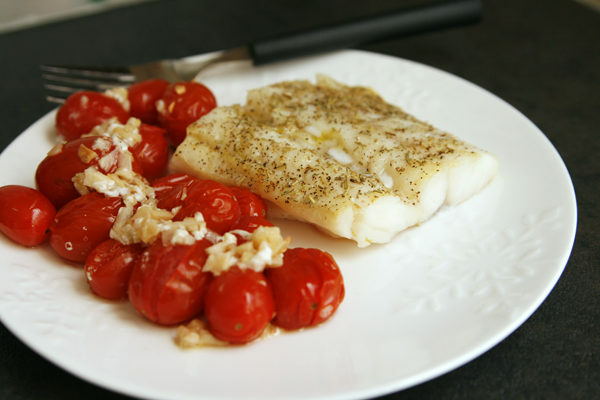 Antioxidant-rich tomatoes, good-for-the-cardiovascular-system garlic and naturally low in fat, carbs and cholesterol Alaska wild-caught cod (also an excellent source of lean protein!) baked together in an easy, delicious dish. It’s simple, but flavorful — just right for a lighter dinner. Plump grape tomatoes and pungent minced garlic cook together to both flavor the cod and provide a vibrant side dish for this quick and easy recipe. And the cod, seasoned simply with olive oil, salt, rosemary and pepper, is tender and lightly flavored. This is a dish that can be enjoyed as is, or with a nice salad to round out the meal. The most important part of this recipe is cooking the cod properly. It should be cooked until it’s just opaque and fork tender. When it’s cooked like that, it will be succulent and delicate but firm. Overcooking it will render it tough — so don’t do that. And, on a side note, after agreeing to create a fresh recipe using seafood from Alaska, I found how easy it is to find. And it’s no wonder why. Nearly 60 percent of wild seafood caught in the United States comes from the cold waters of Alaska. And more than 90 percent of the wild caught halibut and salmon caught in the U.S. comes from there. Since my children and I adore cod, I went with that seafood variety to work with. From our local natural foods store to Walmart, so many grocers carry seafood from Alaska. Sold both fresh and frozen year round, it’s availability and wild-catching methods make it especially alluring to me. For more recipes using Alaska seafood, as well as cooking techniques and tips, check out www.wildalaskaseafood.com. What’s your favorite white fish variety? In an oven-safe pan, add the grape tomatoes and garlic. Top with the cod filets. 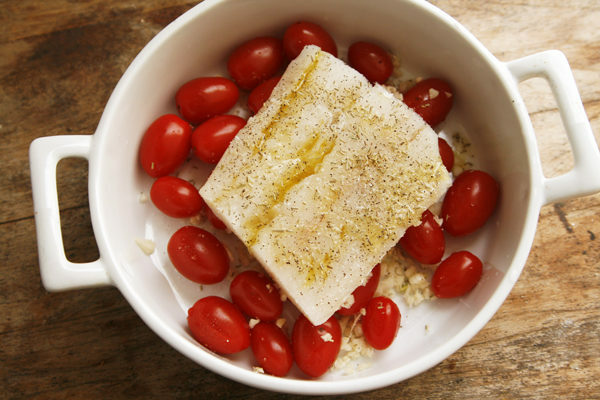 Drizzle each piece of cod with 1 teaspoon olive oil. Sprinkle the salt, rosemary and black pepper evenly over all of them. Bake for 15 minutes, or until the cod is fork tender. 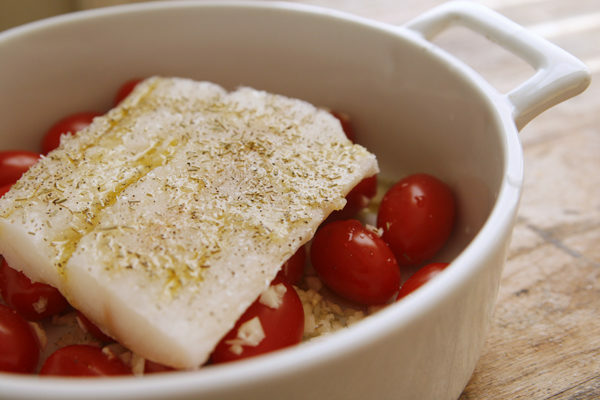 Remove the cod from the pan to plates and return the pan to the oven. Boil for 3-4 minutes, until the tomatoes pop. 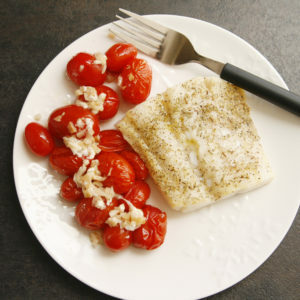 Serve the tomatoes and garlic alongside the cod, drizzling the cod with any additional pan drippings. There’s no sense in even having tomatoes without garlic.